We are making a donation a week for the rest of the year – know anyone we can help? A donation a week for the rest of the year. Thanks to you, 2017 has been a productive year for the Urban Hillsides team. We have decided to give back to the communities we serve and to causes we believe in. 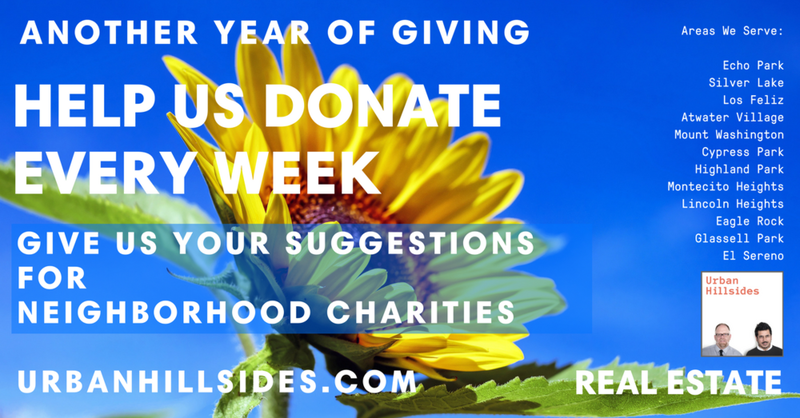 For the rest of 2017, Urban Hillsides will make weekly donations to charities and organizations that help improve quality of life. We are reaching out to friends and clients to help us define and locate these organizations. Please email or reply to this social media post with your suggestions with charity name and contact information. Please share this with your friends as well on social media to see if they have any great causes to donate to. Do you have suggestions? Make them here in the comments.